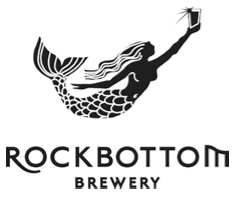 This Saturday at 1:00 pm, Rockbottom Brewpub will be tapping a firkin of Belgian-style Pale Ale know as Brewnoser BPA (check this link for additional information on ingredients and stats for the brew). This is the first in a series of collaboration beers with members of the local Brewnosers club with this particular recipe coming from member Robert McGrath. Hi Chris, I updated the link in the post and in the overall links section and sent you an email.